Savoir Technologies provides private training for its customers: (1) packaged and (2) custom. The packaged training courses we offer are our standard offerings. The custom onsite training can be personalized for your needs. Contact us for more information for scheduling and pricing. Introduction to ActiveMQ that covers all facets of the JMS container, from JMS API to clustering and topologies. Learn about the advanced aspects of ActiveMQ which includes tuning and troubleshooting topics. It covers advanced topologies and considerations for clustering and Network of Brokers. Topics also include areas such as security implementations and plugin development. This course is designed to help implement ActiveMQ in a more efficient manner and help you avoid the gotchas. Introduction to Camel that covers Enterprise integration Patterns, Domain Specific Language with Java and Spring, developing with endpoints. 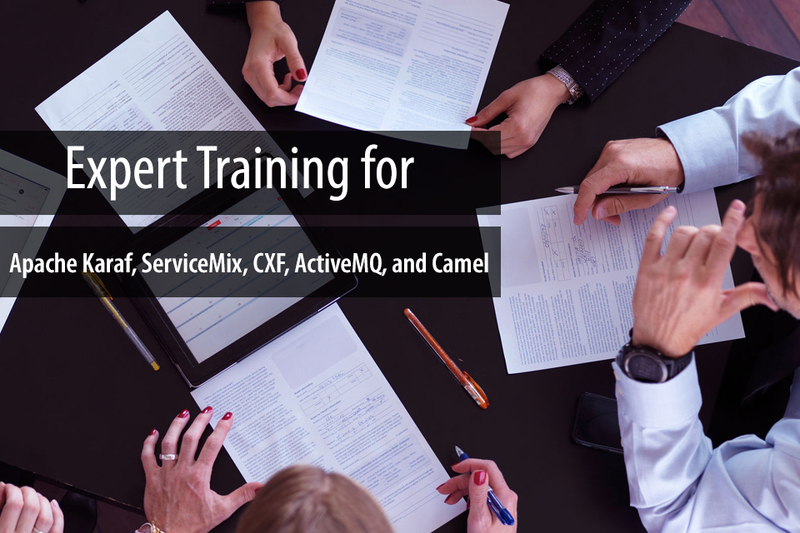 This is a hands-on proof-of-concept (POC) coding and mentoring workshop that shows best practices on developing with Camel/ServiceMix/CXF/ActiveMQ. This is an Ad-Hoc training that we allow your organization to pick the topics that you want to learn. We do a code-along with your staff to teach them how develop with the Apache service products. Essential features of OSGi and Apache Karaf that developers need to know in order to produce and support OSGi based modular Java projects. The course is delivered over the course of two days, the first of which focuses on establishing a foundation knowledge of OSGi basics, followed on day two by introducing Apache Karaf and its rich OSGi run time environment. The labs offer students a hands-on experience in areas they will encounter in real-world OSGi based projects.